Shavon Warrick was born and raised in Washington, D.C. She received her Bachelor's of Science degree from The University of the District of Columbia, and her Master's degree from Howard University. She is currently pursuing a Doctoral degree in Clinical Psychology from CalSouthern University. Shavon has been the sole owner of her private practice Elevating Minds, LLC (www.elevatingminds.org), for over 15 years. She specializes in working with women and families surrounding relationship issues, depression, anxiety, self-esteem, career choices and many other challenges that life may bring your way. She utilizes a cognitive behavioral and mindfulness approach to therapy, based on a Christian perspective. Shavon believes that true and solid change comes from the overall development of the mind, body and spirit. She looks at change in every aspect of your life, not just the mind. Together, you and Shavon will devise a treatment plan filled with achievable goals, all aimed at making life more satisfying. 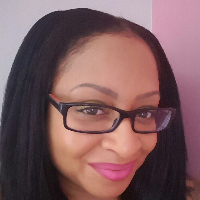 Shavon is the award winning author of Pretty Guryl Books, LLC (www.prettygurylbooks.com) and the creator of the Pretty Guryl doll. Pretty Guryl Books is a Christian based series of children's books focused on various issues, aimed at bringing awareness to the challenges that young girls encounter during childhood (i.e. self-esteem, bullying, health/nutrition, developing friendships, obeying rules at home and school). Shavon is also the president and founder of The Global Harvest Outreach Foundation (www.globalharvest-support.org) a 501c(3) non-profit organization, geared toward adopting schools internationally by providing financial support, school supplies, advanced technology and social work services to children, families and the community. Over the next few years, Global Harvest is looking to open an all girls community center in Washington, DC., aimed at providing a multitude of programs for urban, minority girls. As you can see, Shavon has dedicated her life to enhancing the lives of girls and women both nationally and internationally. She would love to work with you as well. Give her a nudge and allow her to mentor and guide you into a more fulfilling life. This is not a dress rehearsal ladies, we only live once, so let's live this life to the fullest. Make the decision to move toward change and growth today. Joy, Peace and Happiness is only a click away! I have loved working with Shavon Warrick thus far, as she always took time to respond to my messages and rantings in a thoughtful, spiritual, and patient way that helped me to get through a difficult month in my life. Even just writing to or talking with her helped me to better understand myself--the process of communication is helpful in therapy. She is a non-judgmental and supportive listener and counselor. I may not have always agreed with her suggestions but was pleased to listen to them in order to consider a different point of view than my own. I would look forward to working with her in the future should the need arise again. BetterHelp also allowed me to interact with a therapist much more quickly than the local medical center in Annapolis could have given me an appointment. I'm just starting out with Ms. Warrick but I feel like she understands what I'm going through. I appreciate the help she's offering because I feel like everything is tailored specifically for me. I have really enjoyed my counseling sessions. They are very helpful. Shavon is real and relatable. She adjusts to you and handles your emotions with honesty and care. It's basically like talking to your girlfriend, except you can actually trust their advice because she is knowledgeable! Shavon has been an incredibly positive influence and means of support in my life. I have been working with Shavon for a few months now and I am so grateful for her. Talking to her is as easy as talking to one of my girlfriends, but without the shade or bad advice. She was the ear that I needed to work through ending my bad relationship and working on ME. I am in such a better space since I’ve started working with her and I look forward to her encouraging words and advice every time. Shavon is warm and understanding, and she is a great person to confide in. She offers plenty of timeslots for live sessions, and she provides a variety of types of therapy including phone, chat and video sessions. Plus she sends a weekly motivational message which is very uplifting. She goes above and beyond. She's very informative and helpful. I'm glad she was my counselor. Shavon Warrick has helped me so much to get over my stress, anxiety and depression, she really cares and listens and is absolutely an amazing counselor. Shavon gives me great advice and has helped me solve my own problems. I’ve only talked to her for 2 weeks and already I am able to deal with my social anxiety better. Shavon is very helpful. She understands and supports me, and always gives me good suggestions. The best consuelor ever! Responds in a timely manner, great listen, passionate, caring and truly cares! Shavon is very accommodating offering counseling via video conference and electronically. She makes me feel comfortable sharing my experiences and her incorporation of spiritual counseling is a plus as you get a more holistic counseling experience. I highly recommend her services. She's a wonderful and thoughtful counselor; I appreciate her advice each time. My experience with therapy has been really positive, as it's my first. I find the advice to be relevant and useful to my situation. I feel like Shavon wants to understand where my thoughts are and is trying to provide/articulate things for me. I benefited from my sessions with Shavon because she gave me a diagnosis that allowed me to know myself better. She also provided me with good ideas and suggestions as to my problem concerned, after, of course, listening to me and processing my work. I enjoyed my session with her. I felt better speaking with her. I'm glad I joined. She’s really helpful and gives really good advice! Ms. Warwick has demonstrated keen insight and judgement allowing her to speak directly to the issues and offer effective clinical responses. Shavon is great! This is my first time having a therapist and the experience has been amazing. Counselor Warwick is extremely insightful in analyzing my issues and gave me great solutions for dealing with personal issues. Shavon is great. She has been very helpful in assisting me with trying to understand the situation that I have manifested for myself. Ms. Warrick is helpful and resourceful. She takes the time to review my concerns one-by-one, and is helping me to get my life back on track using baby steps to address each of them. Thank you! Would you like to write a review for Shavon Warrick? We'd appreciate if you can spend a couple of minutes to write a short review for Shavon Warrick (LCSW-C). This review would be shared with Shavon Warrick. It may also be posted in our website or in Shavon Warrick's profile but it would be anonymous and your identity would be kept completely confidential.